By looking at pictures of Kate Middleton spanning back to her courtship with Prince William, it’s clear to see she favours the Longchamp Le Pliage bag. Over the years, she has carried the bag in a number of sizes and colours. Today, the Longchamp Le Pliage bag is a staple piece in Kate’s closet. 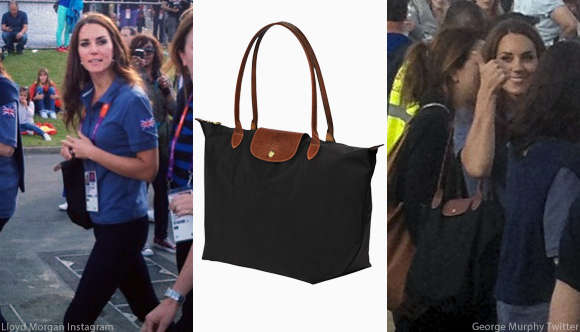 Above, the Duchess carrying the large shoulder tote bag at the 2012 London Olympics & Paralympics. Below, Kate carrying the bag during an airport layover in 2012. You’ll often see Kate carrying her Longchamp Le Pliage bag on shopping trips too, usually in candid photographs. Most recently, Kate carried the bag during her recent outing buying bits and pieces (reportedly) for Kensington Palace. Which size Le Pliage bag does Kate carry? Kate carries both the large and short handled styles, plus photographers have snapped her carrying a number of different colours. Kate carried the Longchamp mini tote in brown on her graduation day, back in June 2003. You can just about see it in this video (or click here for a better picture). 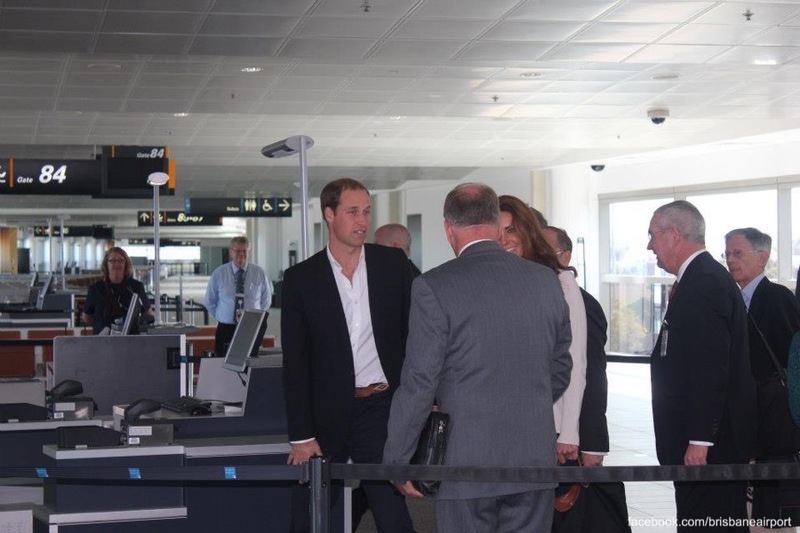 During the 2011 North America tour, airport staff removed luggage as William and Kate disembarked the airplane. Included, was a large red Longchamp tote. 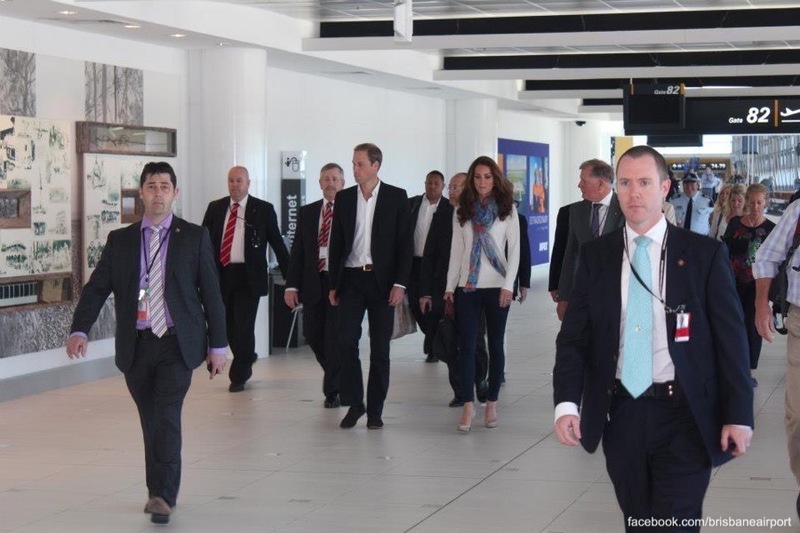 In addition to carrying the large tote with long handles at the 2012 Olympics & Paralympics, Kate carried the shorter handled version of the bag during an airport layover on return from the 2014 Australia/New Zealand tour. The Le Pliage bag, apparently, was inspired by the Japanese art of Origami. It is made from nylon, trimmed in Russian leather and comes in a wide variety of colours to suit all seasons. 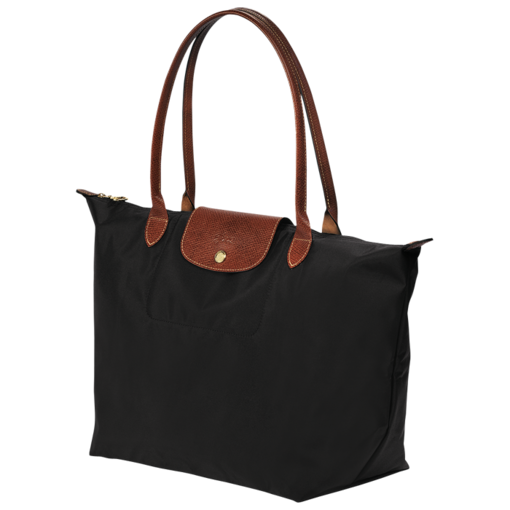 Longchamp nylon tote bag with contrast leather accents. Tubular shoulder straps; 8.3″ drop. Zip top with leather flap at center and logo snap-button closure. 12.3″H x 12″W x 7.5″D; bag weighs less than 1lb. Longchamp’s signature nylon tote in a large size lends sophisticated chic to every look, from city jaunts to weekend getaways. Folds up for ease during travel. RueLaLa (another ‘shopping event’ website with regular sales). *All prices, discount codes, sales, offers and any other details are correct at the time of writing (Feb 2016). All subject to change. So, do your homework and check delivery options/prices to ensure you get the best deal! In late 2015, the Daily Mail wrote that Kate’s Longchamp Le Pliage tote bag is “fast becoming a celebrity must-have”. In addition to Kate, photographers have snapped a number of stars with the bag, including Alexa Chung, Mary Berry and January Jones. 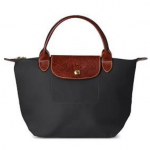 According to WhatKateWore.com, both Kate’s assistant and nanny both carry Longchamp Le Pliage bags too.